We are all aware of the fact that RSS feeds are very essential for a website. Because they help you maintain an updated website which projects the latest content and recent news details. So, today we have listed and defined some of the best RSS Feed PHP Script in this blog. Most of these scripts are capable of automating RSS feeds for which you just have to customize certain settings and configure various options. In addition, they offer a powerful admin panel, responsive design, theme templates, emailing options at an affordable cost. Other than that you also get options to post content with details like images, title, short description, and other details. So, if you are interested in getting updates content on your website on daily basis, let’s start exploring the scripts listed below. 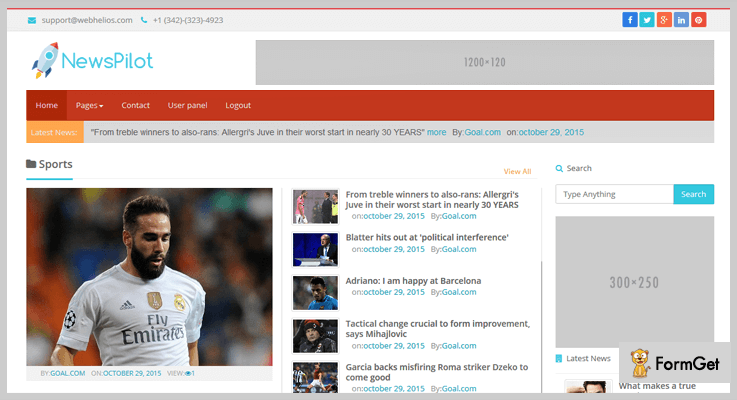 If you are planning to create a news website that auto imports news details from various RSS sources then you should opt for RSS News AutoPilot Script. This script is fast, easy to use and helps you define links to fetch different type of fresh news details. Plus, you can manage unlimited categories, RSS sources, pages, and It also provides RTL support for languages. The regular plan has got a price tag of $13. This plan will include basic RSS News feed features, support for 6-months, updates, and other advanced facilities. The extended plan will cost you $65 which will hold enhanced features, RSS feed facilities, frequent updates, etc. You are allowed to add, edit and delete RSS feed categories, sources, news, links and website pages. Through the admin panel, you can manage general settings, theme settings, clear cache, perform database optimization and remove old news as well. With this PHP script news can be imported automatically or manually from any feed type. Smart templates to display feeds are provided which are easy to edit, it comes with inbuilt Adsense Spaces and LazyLoad is available to provide fast page load. RSS News Feed PHP Script will help you manage feed list with details like ID, featured image, title, subcategory, source, etc. It is a user-friendly and responsive script that allows multiple customizations. You can simply handle tags, user details and ads sections on your website. That is not all, the script only requires one-time configuration and minor maintenance as it fetches news details automatically on the basis of settings. The first license will cost you $30 which will give you entry level features, support, and updates. For the second license of this script, an amount of $65 will be charged which will hold advanced features and services. 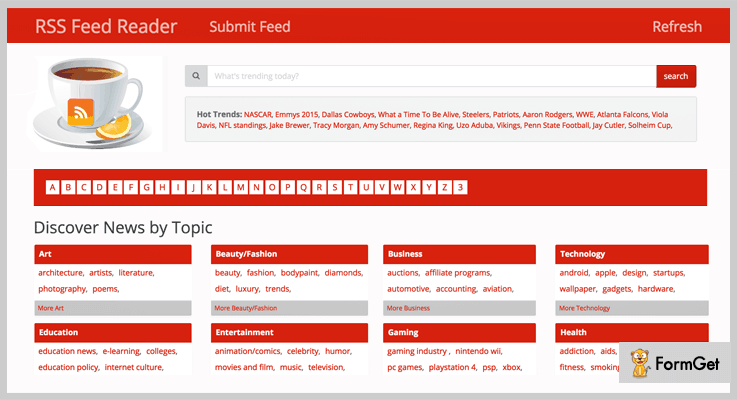 The dashboard helps you manage categories, sub-categories, posts, feed sources, tags, pages, users and other details. This script allows you to create featured posts as it comes pre-integrated with Flex Slider feature. Through the admin panel, you can easily add Facebook box, twitter box, video posts, rating box and sharing options. It allows you to extract full RSS post with each and every detail and with the help of content spinner you can always post unique content and feeds on the website. 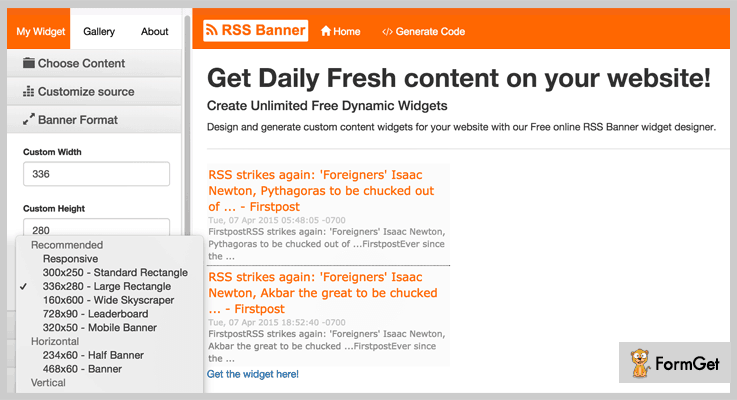 This RSS feed content site builder lets you create a money-making website having RSS affiliate feeds in it. Whereas, you can also use it as your personal RSS reader having your favorite blog/RSS feed collections. The script does not require a MySQL database. Plus, this autopilot script is absolutely easy to use even for a non-techie person. This PHP script will cost you just $22 where you get all type of updates, support, browser compatibility and much more. You can have a fully functional commenting system on your website as the script is integrated with Disqus. Also, you can allow users to share the RSS content on social media accounts. Further, the script provides you with a live preview option for the RSS article content before posting it on the website. It provides you with 12 light-weight and colorful Twitter Bootstrap themes to amplify the website layout. The script is fully responsive on every device screens such as mobile, tablets, desktop etc. In addition, it is fully compatible with iPhone, iPad and Android devices. This is a much talked about RSS feed PHP script that lets you create a dynamic RSS feed portal. With this script, you can allow RSS submissions from the users. Further, you can ask the users to submit category, subcategory, feed name, feed URL and other details. This script includes “Google Trend” keyword grabber in order to provide all the results (related news, pictures, videos etc.) when a user types a keyword in the search box. 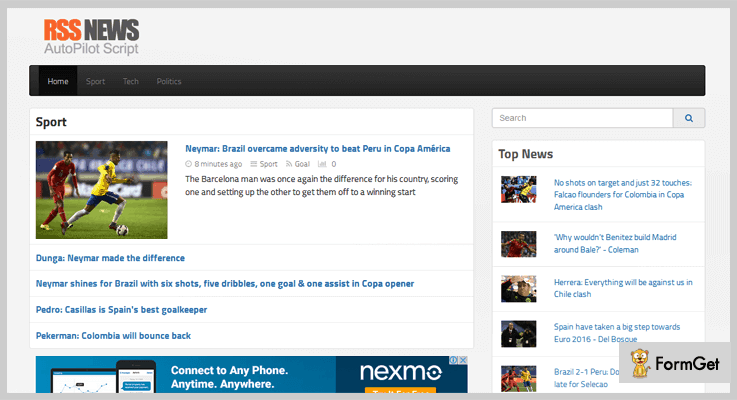 Also, the users can bookmark any news or share it on their social networks. Avail this PHP script for RSS feed at a very reasonable cost of $22. You will get all the basic & advanced facilities & a dedicated support. The script is integrated with numerous plugins such as Bing search, Google search, Flickr photos, Newsvine and a lot more. Moreover, the script provides you with brilliant 17 Bootswatch color themes (which are free themes from Bootstrap) to enhance the layout of your website. Furthermore, having eBay and Amazon widget in your website will let you boost the overall revenue in no time. You can add up various new categories like business, technology, education, entertainment etc. and sort them alphabetically to refine the search for users. 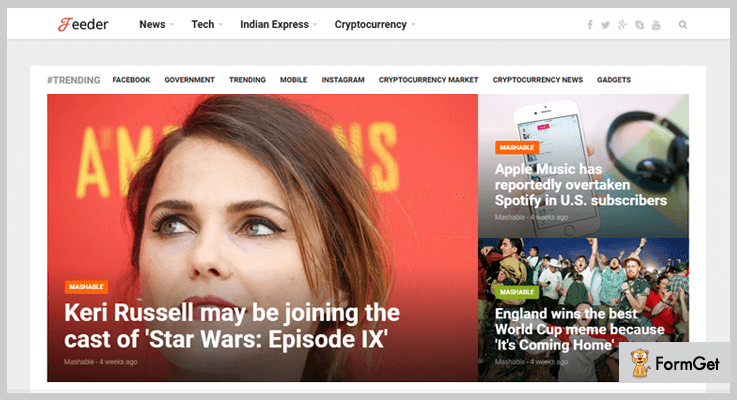 NewsPilot is one of the best news script platform where the webmaster can create manual news or import it from RSS and ATOM feed for his website. Also, you can import the news manually or schedule the automatic grabbing using its cron setup. The script allows you to create unlimited news categories and subcategories along with unlimited news sources. The regular license of this RSS feed PHP script can be purchased at an affordable price of $22 only with basic features and support for 6 months. The extended license of the same script will cost you $500 and you will be provided with unlimited enhanced features and future updates. The script is integrated with Disqus (a blog comment hosting service) and Facebook comment system. Both of them will allow having a comment system on your website. It has various built-in widgets (and a widget generator) that can be used for multiple purposes. For instance, you can display ads through these widgets on the web page at any desired position. Moreover, you can easily alter the webpage content by drag-and-drop functionality and manage other website components like the logo, pages, menu (normal & mega menu), banner slider, lazing loading of the images etc. In addition to this, this script has some of the best image and database backup tools. Besides all these amazing features, the script is multilingual & provides RTL support as well. Although it includes 12 global languages, you can also add other preferred languages. This is one of the best PHP script to add RSS feeds on a website as the content will be refreshed on daily basis. You can create multiple dynamic widgets with this script, design custom content banners and more. 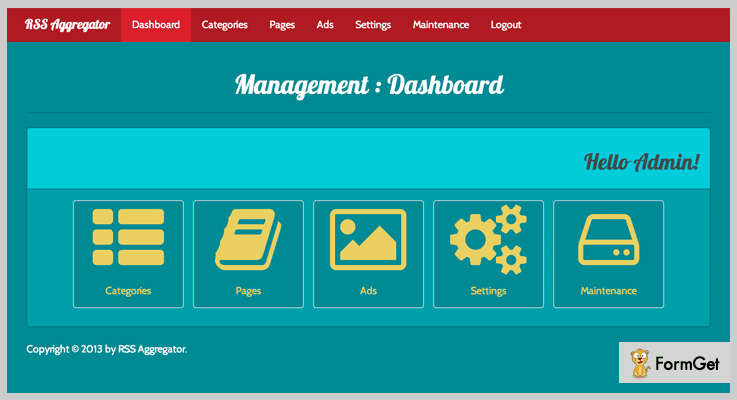 The admin panel is extremely easy to use and is equipped with various banner style and content fetch options. In addition, the script is compatible with all latest browsers, allows you to reset the feeds with a single click and provides separate gallery section for images. This PHP script will cost you $20 with which you will get all type of updates, support, browser compatibility and free content. This RSS Feed script allows you to create unlimited custom widgets for the client as well as personal use. You can easily apply banner styling like background color, border style, and define multiple shadow options. Banner formats like width, height and dimensions can also be set. With this PHP script, RSS feeds can be posted in different fonts and text styles. It allows you to select pre-defined news sources, add custom RSS Feeds and provides widget designer. You can easily have an edge over other websites that do not publish RSS feed or does it using ordinary tools. As far as PHP scripts are concerned, you must have observed how much easier it becomes for any webmaster to have an RSS feed in his website by making least configurations. Although, every script has been elaborated well, but just in case if you get stuck with any of them or have a suggestion to make, feel free to drop your comments below.